How to check PAN Card Failed Transaction status ? 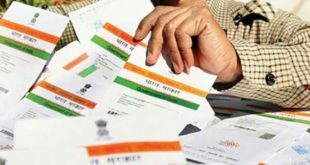 Home / India / Govt Documents / PAN Card / How to check PAN Card Failed Transaction status ? Check Failed Transaction Status of Changes or Correction in PAN Card Application. Mandatory for all transactions above Rs.50,000. Serves as a valid Photo Identity proof. While applying for a loan in India. To start a Business in India. For buying Shares or Mutual Funds. Before we proceed with the process to check PAN Card Failed Transaction status, we would like tell you that this facility can be used if you have made the payment for your PAN Card application via Credit Card/Debit Card/Net Banking. When can you check PAN Card Failed Transaction Status ? Track the status of PAN Card application by Transaction Number. Change the Mode of Payment to Demand Draft if the payment made through credit card / debit card / net banking was unsuccessful. Regenerate & Print the acknowledgement receipt only within 30 days of the date of online PAN application. 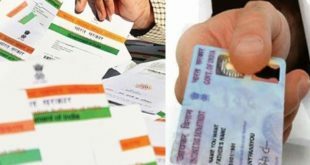 Now, you can track PAN Card failed transaction status by Acknowledgement Number. Let’s begin with the process to track the status of PAN Card failed transaction. First step is to open the NSDL Website for Pan Card for which you need to visit the link given below. As soon as you visit the above link, you will find 6 options under ‘Application for PAN through Online Servces’. You need to click on the last button which says ‘Transaction Status Enquiry’ (Highlighted the image given below). Step 3(b) to Track PAN Card Failed Transaction Status by Acknowledgement Number. Transaction Number – Check the Transaction Number Radio button and enter the Transaction Number. Name – Enter your Last Name, First Name and Middle Name(Optional). Date of Birth – Enter your Date of Birth. Acknowledgement Number – Check the Acknowledgement Number Radio button and enter the 15 Digit Acknowledgement Number. Finally, after entering the above details you need to click on Show Status button to check PAN Card Failed Transaction Status. Hope that the process to track PAN Card Failed Transaction is clear to you. If you have any doubts or queries, you may leave your comments below. HELLO SIR, HOW CAN I FILL MY INCOME TAX ONLINE ? But status is showing last 15 days – Your application is under processing awaiting confirmation from income tax department. How many days require for confirmation from Income tax department ? incase if it transaction is failed , do we get refund?